in creating their brand, many founders identify a personal need or passion that drove them to simply take matters into their own hands. they barrel ahead, bringing their idea to life quickly, not being afraid to course correct even if they don’t get it right in the beginning. being agile and willing to pivot is critical as their brands work to establish a role in their category and retaining authority over their brand and product can help them do that. 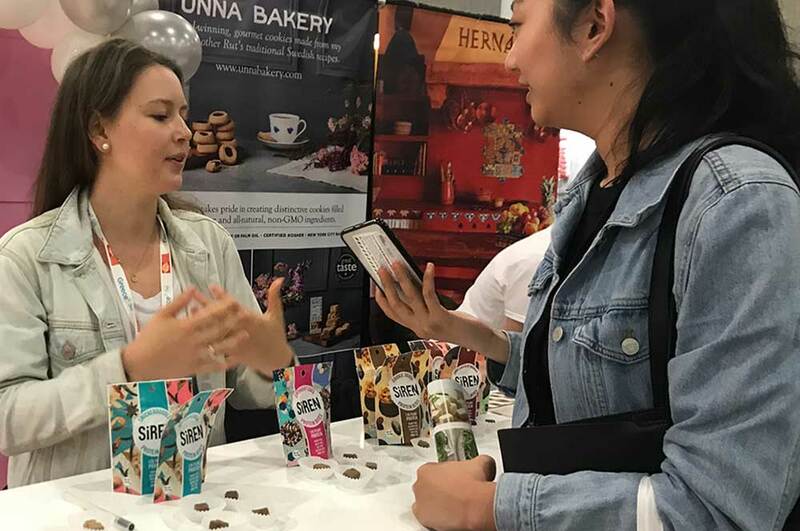 Siren Snacks is rapidly bringing an “innocent indulgence” into the protein category and it’s their “do-it-ourselves” attitude spearheading the way. “It allows us to launch fun, seasonal flavors more often, iterate and be more creative,” said cofounder of the company, Abby Giannuzzi. despite lacking the legacy that more established brands have, ankle biters are able to build trust and authenticity through personal storytelling that resonates – and it’s working. people are increasingly drawn to these brands because they feel an affinity to them. “my family are vegetarian Buddhists from Malaysia. they found that mushrooms were a great replacement for meat – not only do they have a meaty texture – but they're also natural sources of protein, fiber, and antioxidants. 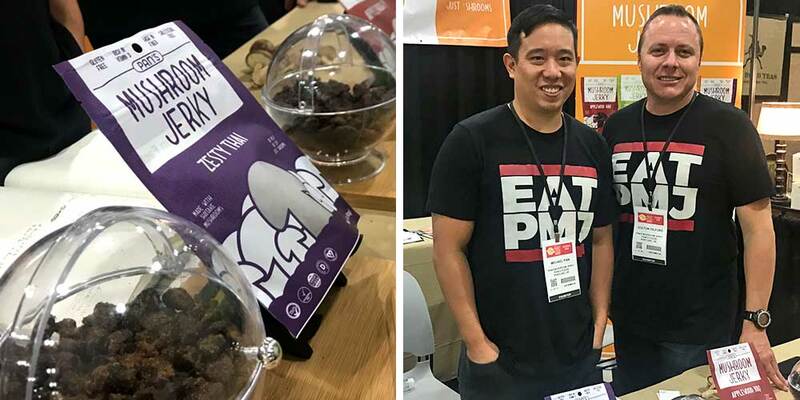 I worked with them to bring the mushroom jerky recipe over to the US, updating the ingredients to be vegan and organic, gluten-free and soy-free,” explained Pan. this connection to family heritage through a recipe has become the cornerstone of the brand and is an important part of the narrative for Pan as he adapts the product to fit the US market and consumer. and this connection – and the needs it fulfills – is helping to establish a sense of heritage that can be difficult for new brands to authentically do. 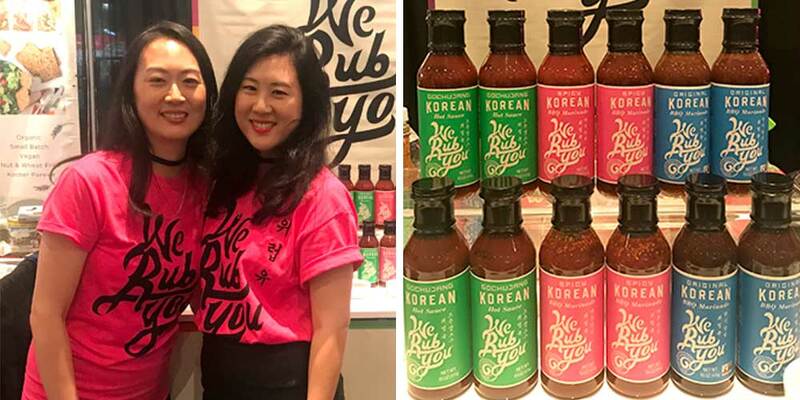 Ann Chung started a Korean marinades company called We Rub You with her sister, Janet. the brand is a celebration of cultures crossing over and reflects the personal experiences of its founders, and many others, as first-generation Americans. “when we were growing up, there weren’t very many Koreans in Texas. we never would have imagined that people would be excited about Korean food. when we saw it happening we thought ‘oh my god, this is for real. people love Koreans! we’re really a part of America,” Chung explained. by grounding We Rub You in their personal experience, Ann and Janet have connected their brand to the broader theme of acceptance, which so many consumers can validate and relate to. to continue to be successful, ankle biters need to elevate their ideas to have a larger purpose and greater role beyond just product. identifying an opportunity or idea is a start, but purpose will take it to the next level, providing a blueprint and a clear path forward for the brand. using purpose to drive innovation and strategy helps brands focus their efforts in the right areas and stay true to who they are. The Jackfruit Company – an ankle biter brand we had the pleasure of working with last year – was created after founder Annie Ryu traveled to India and discovered this strange miracle fruit. she realized, that due to lack of supply chain, much of the jackfruit produced was going to waste despite its potential impact on health, environment and farmer livelihood, and identified an opportunity to make a difference. can ankle biter brands continue to scale while still staying true to their core in a way that feels authentic? as bigger corporations fund their own incubators, how will this change the way ankle biter brands disrupt categories? just some of the questions we’re asking ourselves at cm – but we’d love to know what you think – connect with us and share your thoughts on this post, we’d love to chat about it! in our cm trending 2018 culturescape report we further explore the changing notion of authority, trust and authenticity. to read more on the topic, download the report below.